Kundalini is a practice of yoga that most people can only aspire to get to. It is something that is so intense that some gurus even struggle to get there and they are not able to do anything other than constantly work to get to that point. Renewal kundalini can be difficult, but it is something that does have a due process to it. As a yogi progresses through the different secrets, tips, and tricks to get to kundalini, they will be more likely to get there. The biggest benefits that come from kundalini are an increased state of tranquility, completely balanced chakras, and the ability to maintain the different aspects of yoga. Yogis who are able to get to kundalini are much better at handling the different aspects of their yoga practice, and it is something that they can work at to make sure that they are doing things the right way. It will allow them the chance to make sure that they are getting the most out of their yoga practice and they are doing the best job possible for them. Since kundalini can be so hard to get to, many yogis are constantly looking for the chance to learn about how they can get there. It will give them a chance to make sure that they are doing things the right way and that they are able to improve their own yoga practice each time that they step onto their mat or blanket. Kundalini is the ultimate renewal and many yogis want to work for it as soon as they hear about it even though most know that it could take them an entire lifetime of yoga to be able to get to that point and, even then, they may not be able to get there if they do not do the best yoga practice possible. Even though there is no single proven way to get every yogi to have their kundalini awakened, there are a few tricks that can help them get to that point. Balancing the chakras, participating in tantric yoga, and focusing on currents through the body are just a few of the methods that are covered in this book. Meditation and cleansing are other ways that yogis can get to that point, but it can also be beneficial for them to have the help of a guru who can put their enlightenment onto the person who is trying to get to kundalini. Listen to learn the best practices, the secrets of kundalini, and how you just may be able to get to that point in a shorter time than you had hoped for. 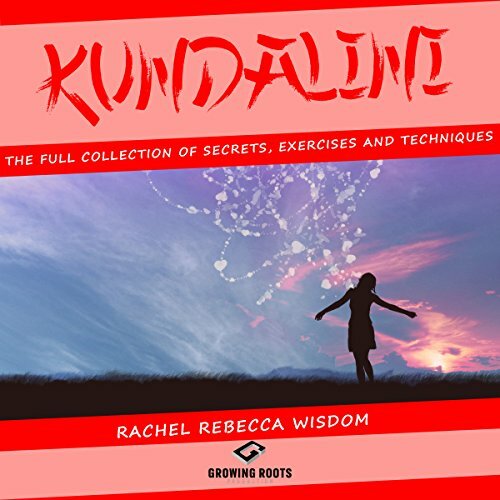 While we can't get you to kundalini and you really need to do most of the work yourself, the tips and tricks which are outlined in this book will give you a great start. Make sure, though, that you are an enlightened enough yogi to be able to get to each of these points. Otherwise, the journey which you are taking toward kundalini is not going to be worth anything and will just be a waste of your yoga practices. You will soon be able to benefit from everything that comes with kundalini and you will be able to enjoy the benefits of advanced yoga along with everything else that you are able to do with your practice. "Making sure that you are as enlightened as possible is one of the easiest ways to do the most when it comes to your practice." "Once they [people] feel a tingling along the spine they are in Kundalini." ...if necessary to comment on the rubbish: the author uses inflationary the word 'enlightenment' and equates Kundalini with a tickling along the spine. Usually you don't use the words without explanation. And somebody who says he is enlightened surely would not say this. Also there are thousands of emotions and sensations along the spine. the content is so chaotic, imprecise and bulsh***ty that it is a pain to listen to it.